pintopinterest I absolutely cannot believe that this gorgeous destination wedding on Isla Mujeres Mexico is just now hitting the blog. Silly me. Isla Mujeres… If you haven’t been there, GO… If you have been there, you’re probably just like us and want to go again… Located just 8 miles off the coast of Cancun Mexico, it’s this 4 mile long oasis of an island with fantastic food, gorgeous beaches and a lot of culture. Photographing destination weddings is a ton of fun but it is also A LOT of work… It’s a whirlwind really and 90% of the time we’re left with just a few hours in the afternoon of our last day to do some exploring. We usually use these last few hours to take some travel photos which end up in our couples gallery as well. Making the most of the few hours you do have to explore a new destination is overwhelming because let’s face it – you want to see it all. Well, Isla is only 4 miles long and MAYBE a half mile wide at it’s widest point… We rented this little lime green three wheeled car and saw the whole island – 3 times (or maybe 4). We didn’t see it all with particular detail (except the few spots we chose to get out and photograph) but that was part of the fun. Stay tuned, I promise to post a photo of Matt and I in our little three wheeled lime green speed demon. Anyways, let’s get back to the main point of this whole post which is to feature some of our favorite images from Melissa and Ray’s intimate, fun destination wedding weekend. A huge thank you to the amazing Tiffany with Sunhorse Weddings and the awesome staff at Zama Beach Club for working hard to keep the day running smoothly!!! You guys were so awesome to work with! Melissa and Ray, thank you so much for having us there to photograph your wonderful wedding! 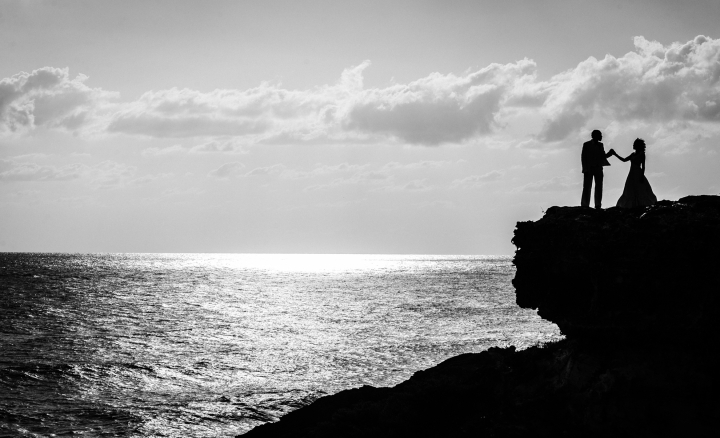 pintopinterest The cliffs of Isla Mujeres made for some fabulous awesome wedding portraits! pintopinterest pintopinterest Isla Mujeres is so full of charm and character, from the fishing boats and white sand beaches to the rocky coastline and cute downtown shops – We can’t wait to go back and spend more time exploring!! pintopinterest pintopinterest Melissa got ready at the beautiful Ixchel Beach Hotel before heading to Zama Beach club to get married! pintopinterest pintopinterest pintopinterest How can you not love Ray’s sweet wedding day transportation… ?!?! It’s not every day you see the groom driving himself to his wedding in a golf cart, only on Isla… pintopinterest What a beautiful bride Melissa was!! pintopinterest I can’t help but include this photo from their rehearsal dinner at Zama Beach club the night before… pintopinterest Melissa’s gorgeous wedding dress was hand sewn by my great aunt for my mother in 1975. Isn’t that so sweet?! pintopinterest pintopinterest pintopinterest All of Melissa and Ray’s details were gorgeous and so perfect for Zama Beach Club and the beauty that surrounded! pintopinterest pintopinterest pintopinterest pintopinterest Zama Beach Club’s ceremony spot is right on the water and if you look closely you can see Cancun off in the distance! pintopinterest pintopinterest pintopinterest I love this one of Melissa and her girls walking down the beach at Zama. pintopinterest Zama Beach club all light up at night was simply beautiful! I love this photo Matt captured – very peaceful! pintopinterest pintopinterest Love this wedding portrait of Melissa and Ray by the tiered pools at Zama Beach Club. Their dinner reception took place just behind them under the lanterns, how pretty it was!! pintopinterest pintopinterest pintopinterest Matt’s the night shot pro – Here is another he took of the front of Zama Beach Club light up at night! pintopinterest The next morning we woke early to catch the sunrise and how beautiful it was!! Melissa and Ray were troopers and rose with the sun for there Isla Mujeres trash the dress session. We started out at the beautiful beach home they rented, a perfect place! pintopinterest pintopinterest Just taking in the gorgeous sunrise!! pintopinterest One of my absolute favorites!! pintopinterest What a place to put your feet up… Love the rocky coastline of Isla Mujeres! pintopinterest pintopinterest pintopinterest This gorgeous walking path along the water was a perfect location for some oceanside portraits!! pintopinterest pintopinterest Love the colorful buildings scattered all over the island, they make for great backdrops!! A huge thank you to Melissa and Ray for trusting us to photograph your amazing wedding on Isla Mujeres. Your family and friends were so so welcoming and we can’t think of a better group of people to spend a weekend with! We are currently booking weddings for 2016 and 2017! AMW Studios is available for weddings here in Asheville NC + Charleston SC and beyond. 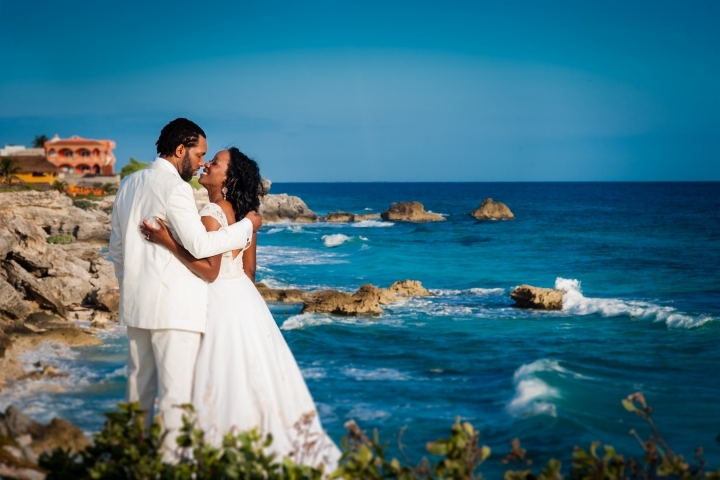 If couldn’t tell from the post about, we absolutely love destination weddings and are available for travel worldwide. 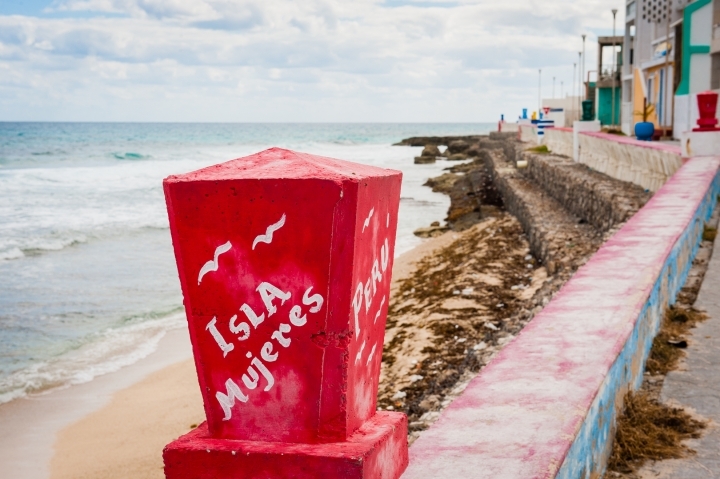 Planning a wedding on Isla Mujeres?! We’d love to chat!